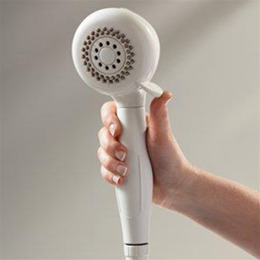 Unique shower head can be held in the palm of your hand. Easy to use while seated or standing with an extra long 7-foot flex-hose. Converts to a standard handheld shower for a comfortable grip.